PART NO. SVK71820 12.7mm CoroDrill 860 Solid Carbide Drill, Coolant-Thru, 38.8m LOC. 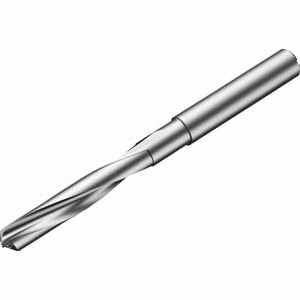 CoroDrill® 860 is a solid carbide drill designed for a fast and problem-free drilling. It maximizes productivity through high metal cutting efficiency and machine utilization. With excellent chip evacuation in long and short chipping materials, CoroDrill 860 provides green light machining at high penetration rates.